Enter the login details given to you by your teacher. Teachers - this is the class login box. To log in with your own details please Log in here. You are viewing this site in an unsupported browser. See our browser support page for more information. Creative writing is a great way to stretch children's imaginations whilst also developing key literacy skills. 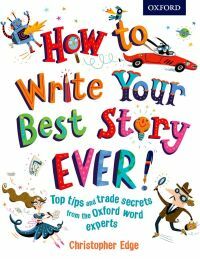 Developed by Oxford Children’s Dictionaries and author Christopher Edge, these creative writing guides for ages 7–11+ are packed with practical tips to awaken your child’s inner author. How to Write your Best Story Ever! is designed to help all children unlock their story ideas and write their own best ever stories. Learn valuable skills like how to overcome writer’s block and how to use words to their best effect. 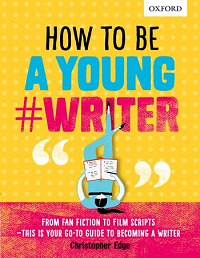 Packed with tips on how to write in particular genres, create exciting characters, and write powerful sentences using metaphors, similes, and idioms. This book will inspire your child again and again. A must-have notebook to unlock your child's imagination and inspire them to start writing. Full of great hints and tips, and activity pages for jotting down words, sketching characters, and writing stories. A perfect companion to How To Write Your Best Story Ever! 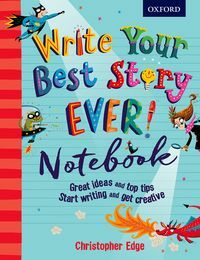 Designed for older writers aged 11+, this book will help children learn to craft brilliant stories, create believable characters, write powerful endings, and much more. Packed with practical tips and insider advice from published authors, this guide opens up the secrets of how to write well. It leads young authors through the whole writing process, from beating the fear of the blank page and learning to edit their work, to getting other people to read their stories. On our Encouraging creative writing page, author Christopher Edge shares his top 10 tips to get your child writing. You will also find free activity sheets to help you encourage your child's writing development. We can’t process new registrations at the moment. Please try again later.